One of my favorite things of fall and Halloween is candy corn! Some people don’t like it, but some do – and I’m definitely a lover of it! The colors are pretty in themselves. 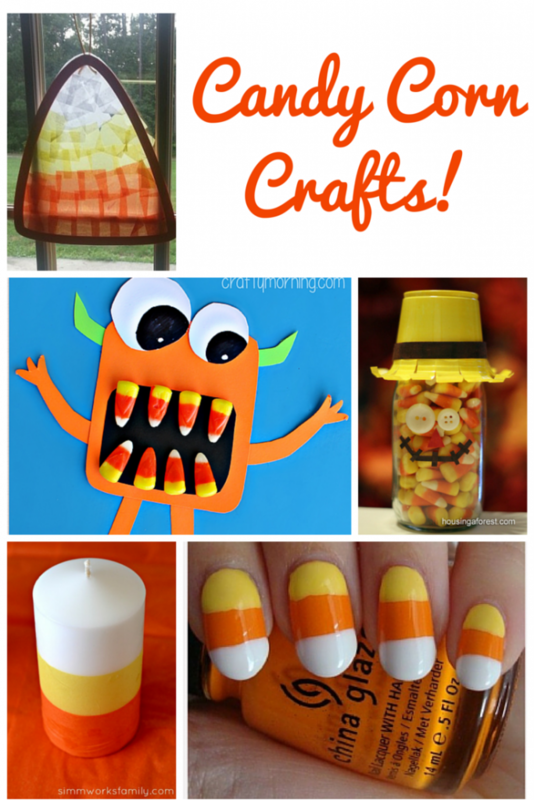 I have put together a list of some fun candy corn crafts for you all! Some of them have actual candy corn incorporated into them, but some ust have the colors. I’m sure you’ll find a craft to make with your children and decorate your home for fall! Candy Corn Costume by Crystal and Co. These are SO cute- thanks for sharing! I love the nails and candle! I know candy corn isn’t loved by all, but I love it! My mother in laws favorite candy. Love the finger nail polish — so cool.